Rebuilding after a fire often starts with a call to an insurance agent. But the wildfires in Northern California are unprecedented. Tens of thousands of Californians lost their homes at the same time. The price to replace everything can be high, and the process to get through it all can be long. California Insurance Commissioner Dave Jones joined Take Two to explain the process. Is fire damage covered in the average homeowner's policy? 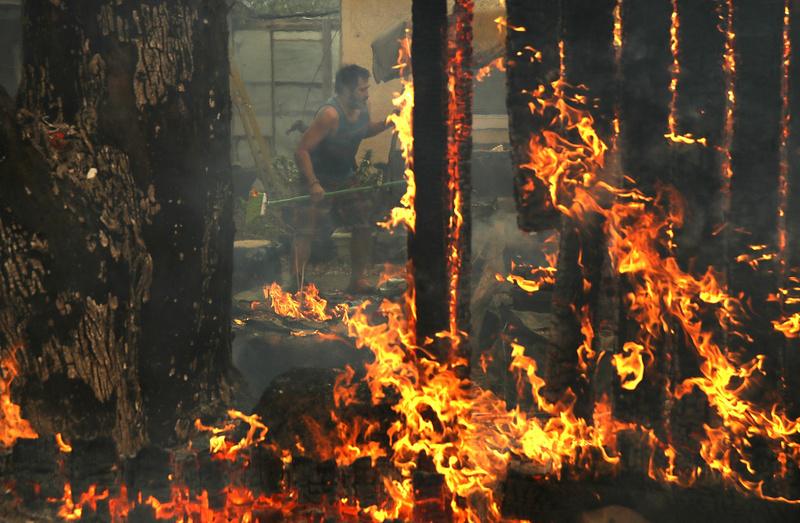 Yes, almost all homeowner's policies cover fire. But one of the challenges we've been facing in California is more dry conditions, more unpredictable and severe fires. As a result in some cases, insurers are deciding the risk is too much for some homes and not writing. There is a fire insurer of last resort, though, that's been established by the state called the FAIR plan. If for some reason you're in an area where traditional writers of homeowner's insurance are unwilling to write, then you can get fire insurance from the FAIR plan. Are people eligible for claims even if their homes did not burn? Even if their house did not burn, [people] may be eligible for assistance. In addition, if your home suffers damage due to smoke or debris, you may be eligible for coverage as well. What about people who don't have homeowner's, renter's or fire insurance? There is limited disaster assistance available from FEMA upwards, I think, up to roughly $30,o00 per individual and homeowner. But again, it's very limited. There are also some home loans available, I think up to a couple hundred thousand dollars, to help you rebuild. But the sad reality is that if you don't have insurance, you're going to have some real challenges. There really isn't a lot of assistance from the federal government or state government to help you rebuild, and that's why we encourage everyone to get insurance. Hear more advice from California Insurance Commissioner Dave Jones on how to rebuild after a fire. Use the blue audio player above.